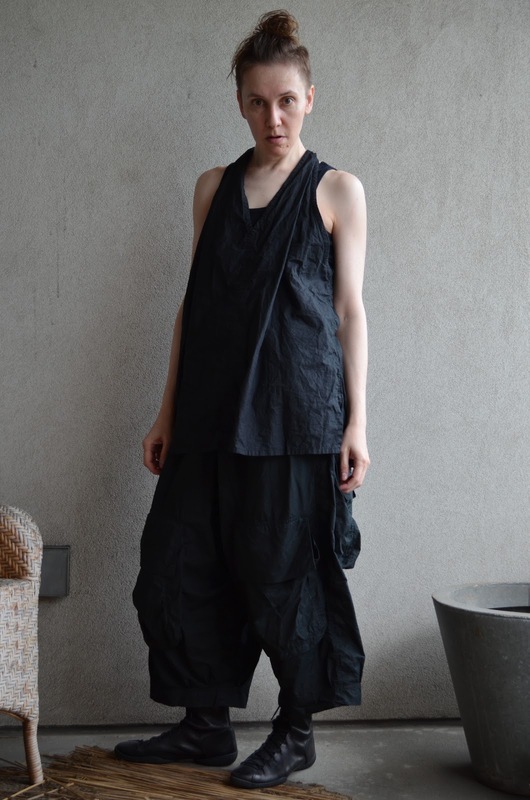 recently, i was fortunate enough to snag two cropped cardis by skif. neither was a black one. 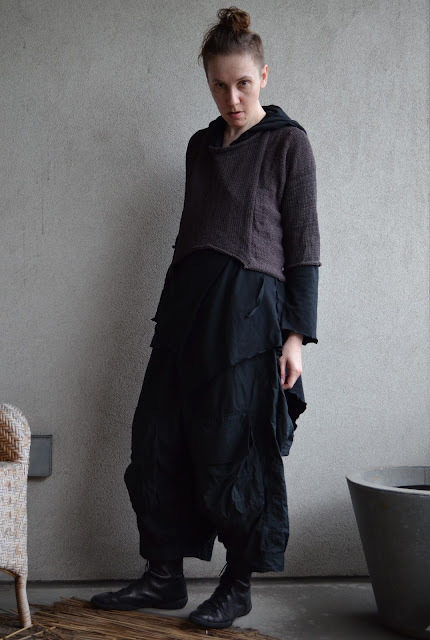 some time after these acquisitions, i went in search of a black cropped sweater by skif. i had wanted a cardi, but i wasn't going to be too picky -- a pullover would work just as well. the pullover that i am wearing here is what i came away with. not black, but i like it just the same. by way of useless information, i walked away from a cropped, wide body cardi that was tan with grey polka dots and a wine coloured a-line cropped pullover. sigh. i am wearing the mykonos top, the cool pant and the hood jacket by kaliyana. my pullover is by skif. i am wearing the wrestle boot (cups collection) by trippen. Love this look! So I have been back to the beginning of your blog and scrolled through 2010, yes I did! WOW!! You definitely have your own style and such an amazing way of styling your outfits. And you were colourful like you told me. Wish I had been following you from the beginning to see your changes taking place. Somehow your outfits often still have that all-black air even if they actually include a non-black piece. 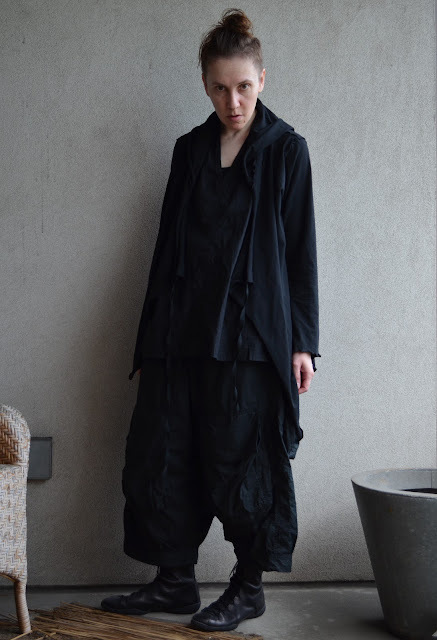 Find that myself too, in periods of all-black dressing. sue: thanks for taking the time to look back! jessica: i like that: an "all-black air". it will make me look at outfits in an entirely new light. thanks! I thought I would just let you know how much I enjoy seeing your posts - I love seeing each outfit - thanks for taking time to share them. I have admired Rundholz and Trippen for a while now and have recently ordered a few pieces (which have now turned into several!). I haven't heard of Skif before but looked them up after your post and downloaded one of their knitting patterns - just have to find time to knit it now! Oh good, I am glad that you liked that thought of mine!